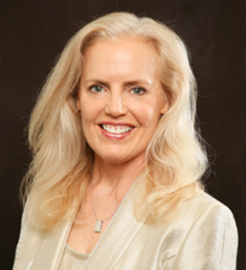 Karen Sloat has practiced law for over 30 years in California, Colorado and Hawaii and is known as a lawyer who strives for integrity and excellence. Ms. Sloat’s law practice is varied. Her focus is on employment law, mainly representing employers and managers; transactions and contracts; and litigation in a number of areas and venues throughout Southern California. She is perceptive and practical about how disputes or transactions affect your business relationships and assets. When you bring Ms. Sloat your problems or desires, she will advise you of creative, practical options and solutions, as well as the expected future costs. Ms. Sloat is known as a zealous and wise advocate with a reasonable approach to negotiations, but also as a formidable opponent in litigation. Ms. Sloat advises clients pragmatically, from the perspective of her broad legal experience. Transactions are documented clearly, to anticipate and avoid potential disputes. She is also a certified and experienced mediator who has conducted mediations to resolve disputes on a variety of legal issues. Among Ms. Sloat’s clients are businesses in the fields of construction and maintenance, private club ownership, real estate ownership and management, planning, technology, manufacturing, entertainment, gaming, restaurant ownership, and physician groups or senior care companies, as well as a number of non-profit or charitable organizations, private or religious schools, places of worship, a Native American Tribe, and many individuals.